The resale process has concluded and you’re handed the keys to your new home. What’s next? Decorate it to the nines just in time for that big housewarming party, of course. 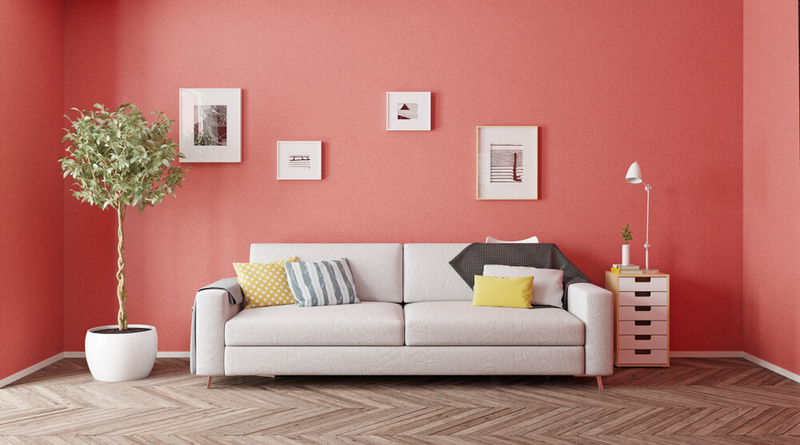 And if 2019’s Pantone Colour of the Year is any indication, a lot of current interior design trends are going to draw inspiration from the colour Living Coral. After all, the Pantone Institute attributed the shade’s current relevance to its strong presence in ad campaigns by companies like AirBnB and Apple. Living Coral is “a shade that affirms life through a dual role of energizing and nourishing”. Pantone also described the colour as emblematic of “our innate need for optimism and joyful pursuits”. With all this rich context in place, are you excited to start brainstorming? We’ve got you covered. For starters, a few coral coloured statement pieces peppered around the home can really liven up one’s space. There’s just something about seeing the vibrant coral juxtaposed against a more neutral colour that instantly breathes life to one’s abode. 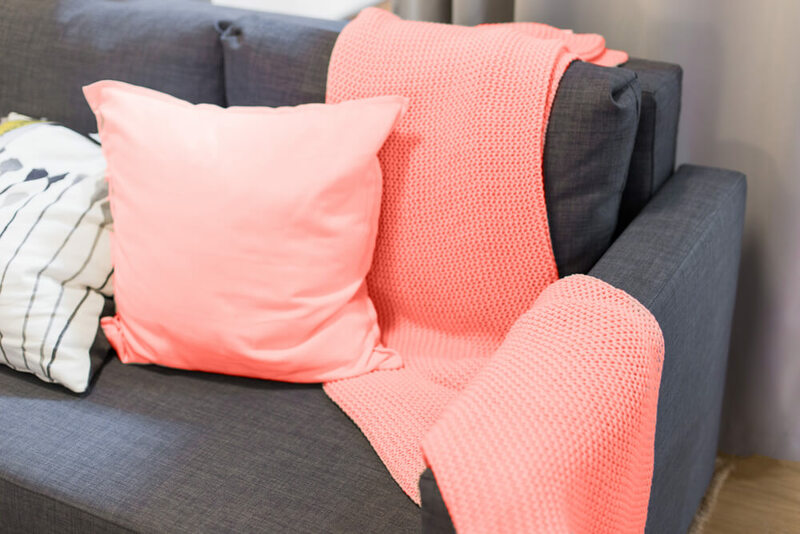 A wallet-friendly way this can be achieved is by simply adding a coral throw blanket and a matching pillow to any darker-hued furniture for that immediate colour-block effect. 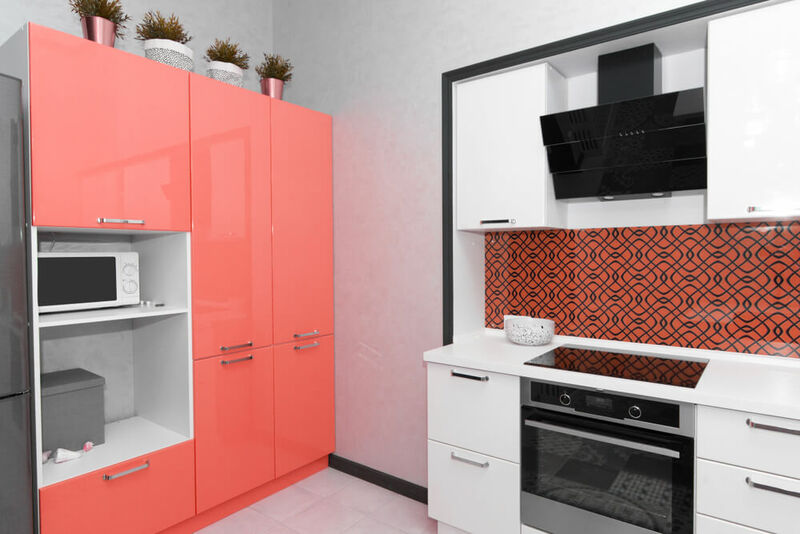 Kitchens can be vibrantly-coloured too! Should you want to inject a dose of quirkiness to the most practical area of the home, ask your interior designer about coral cabinets. Alternatively, a more subtle way to utilise this year’s Pantone colour is with a coral-tiled backsplash. And who knows what kind of wonders this “joyful” colour would have on the cook? Be prepared for tastier meals by an even happier chef. If you’re ready for a more dramatic home makeover, why not go all out and paint the wall coral? It strikes the right balance between the too-masculine red and too-youthful orange shades, ultimately energising the look and feel of the home. Has inspiration struck? With interior design, it’s the little things that make a big impact. Home decorating can be so much more effortless and fun with the right tools to help. This guide on how to utilise space-saving tips for compact homes is also useful in brightening up any living space. Based on the current state of the world, we could all use a daily dose of optimism and joy - even if it’s something as deceptively insignificant as colour. Eyeing on your dream home but don’t know where to start? Ohmyhome has got you covered with our wide array of housing solutions for buyers that will simplify your home transaction experience through our Buyer Documentation Services. How Does an Open Kitchen Benefit You? 5 Themed Interiors For Your New Home!